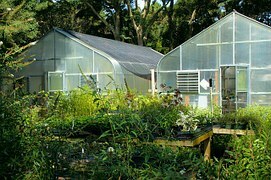 The off season greenhouse can allow indoor gardening year round with adequate heat and lighting. Greenhouse grow light movers make lighting supercharged for exceptional off season results. 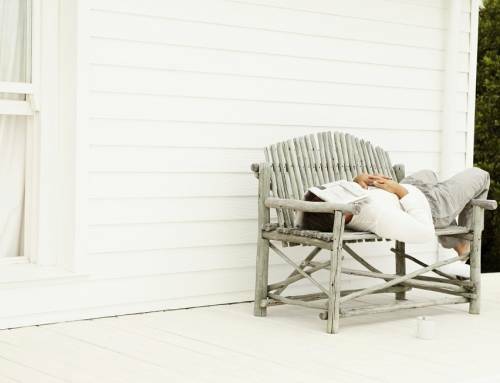 When the days are shorter and cooler; that’s when we all know what’s just around the corner. And, that’s when the off season greenhouse makes the most sense. Gardening and grow setups turn into raking leaves, and that later turns into shoveling snow. It’s called the off season dead time but it doesn’t have to be this way. There are two more growing seasons to go before May is here. And, all we need is the proper temperature and effective grow lighting. For the off-season greenhouse, the warm temperatures can be obtained with supplemental heat for our indoor grow system. Or, this can be achieved by gardening indoors in a dedicated indoor grow system space. Simple enough, but how can we maximize our indoor grow lighting? Several years ago I discovered Gualala Robotics, the makers of LightRail DIY light movers. I quickly learned they have a high-quality solution that has been helping growers maximize grow lighting since 1986. Their LightRail grow light systems are exactly what the off season greenhouse needs. That’s to keep gardening either indoors or in the off season greenhouse. And, that’s all the way through the late fall, winter and early spring months. Summer is a given. 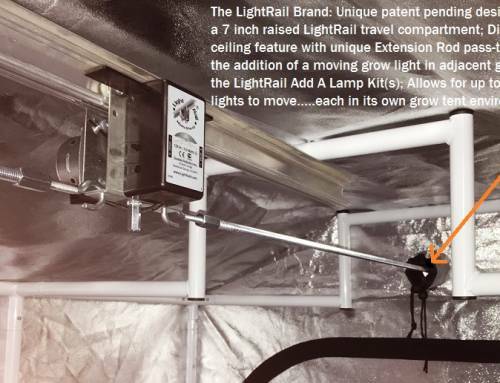 LightRail grow light movers will move any indoor grow light or any grow light reflector. And, that’s whether our grow lamps are HPS grow lights, Metal Halide grow lights, LEC grow lights, LED grow lights, plasma grow lights or induction grow light technology. So, no matter the indoor grow light, moving those grow lamps will improve our results. There are significant advantages achieved by distributing indoor plant light at a greater range of angles. Those grow light system advantages include the elimination of hot spots. And, this moving indoor grow system reduces shadow patterns. 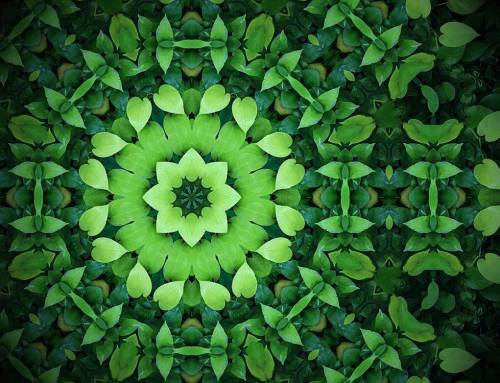 This creates an indoor grow system where more of the leaves are working for the plant. We know that as indoor grow light is positioned farther from its source, the indoor plant light intensity diminishes. Indoor grow light movers help correct this problem by allowing for a closer plant-to-lamp tolerance. And, this is while maintaining better grow equipment coverage with the grow lighting. During the photoperiod and when more of the plant is covered at the correct intensity by the indoor plant light, the maximum light saturation point for green leaf photosynthesis is more easily reached. Grow light movers are all about unleashing the power for our off-season greenhouse. And, specifically, unleashing the power of our indoor grow lights. That’s while giving us a better return for the grow light numbers, including ppfd grow light numbers, available. Put any stationary indoor grow light on a LightRail light mover and it begins to pay for itself right away. It’s an efficiency product and testing proves this out. 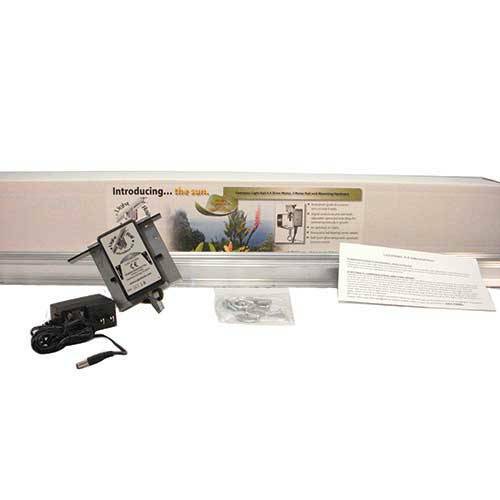 A basic LightRail 3.5 Kit or a LightRail 4.0 Kit includes a 6’6” rail (2 meters) and a motor. LightRail light mover has the motor that is an instrument-grade, continuous duty device. We also get instructions and all the hardware needed for hanging the grow light mover in our grow equipment setup. But, they don’t leave us hanging with just a kit and printed instructions. We can also find even more in-depth grow light system information at their website LightRail3.com. For off season greenhouse indoor grow systems, Gualala Robotics also makes Greenhouse Rail Hangers. 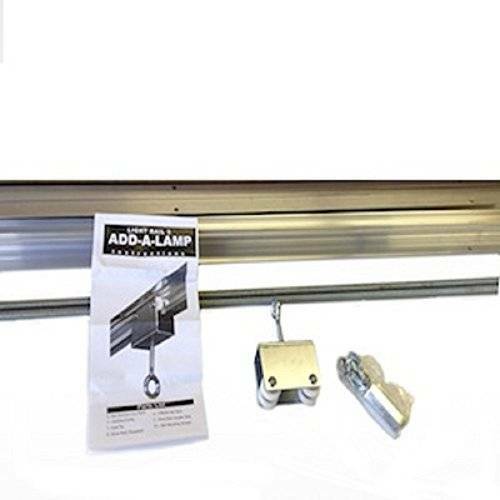 This grow equipment accessory provides a way to hang our LightRail light mover from our greenhouse supports. 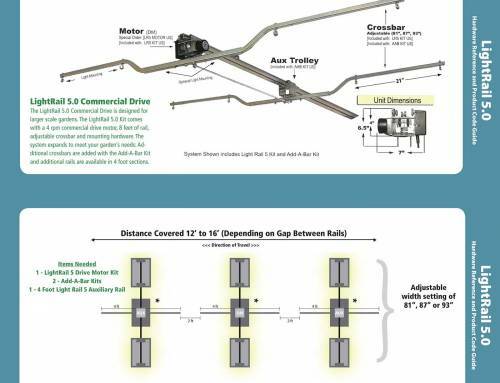 They recommend a length of travel anywhere from 18 inches to 39 inches switch stop to switch stop. And even better, the switch stop placement for that travel distance is adjustable. The switch stop position at the end of the run correlates to the center of our indoor grow light. So, the indoor plant light pattern will, of course, go out even farther. That’s with half the indoor grow light going beyond the stopper setting, and that’s for both direction of travel. 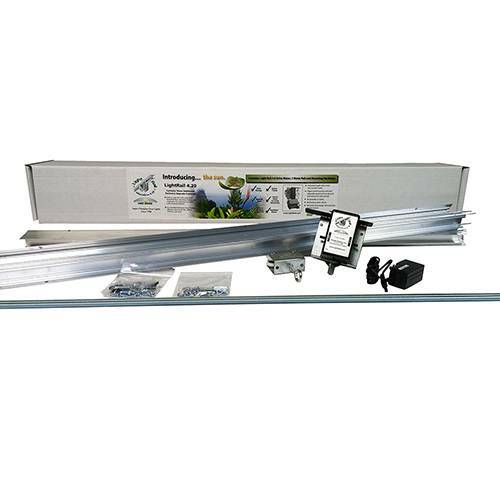 Another option for the winter greenhouse setup is to hang supplemental greenhouse lighting and grow light movers from Unistrut. This is done by using Strut Channel Compatible Rails. 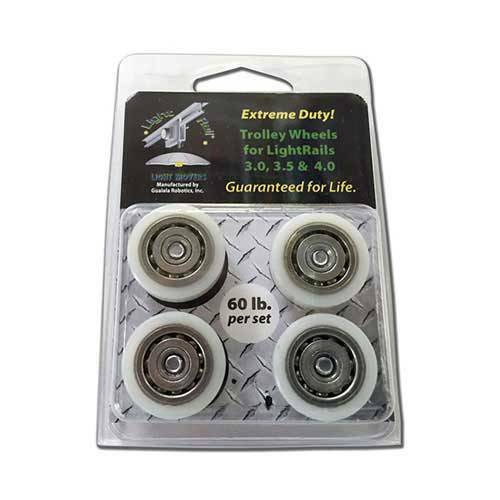 These can attach to existing Unistrut or to virtually anything. So, with the support structure of the indoor greenhouse, this is an solution. If our off season greenhouse grow environment has multiple indoor grow lights, we can move up to three grow lamps with just one motor. So, their new Add A Lamp package allows expansion of their basic LightRail 3.5 or LightRail 4.0 Kits. It is a scalable grow light system that allows the grower to grow their garden as large as they want. And at the same time, these grow light systems are simple and easy to plan. Or, if we have enough natural sunshine but we simply want to extend the winter day by a few hours, we can get a longer run for each indoor grow light. It’s easy to plan this indoor grow setup and it’s very effective. Gualala Robotics strenuously tests their grow light system products. And they and others have grown multiple gardens indoors as part of their product development program. During side by side testing using stationary indoor grow lights versus LightRail light movers, the Tomato Project had a 78% increase in yield on the LightRail side. That’s when compared to the indoor grow lights on the stationary side. Indoor grow systems that move the grow lamps will see significant yield increases. But of course, these numbers will vary depending on many indoor plant light factors. 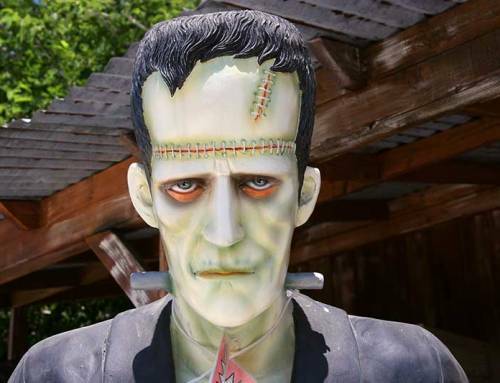 Gualala Robotics relocated in 1993 to the beautiful but garden challenged area of Steamboat Springs, Colorado which has a growing season that’s exactly two months long. They quickly learned that long winters make all of us very appreciative of those off season gardens. Fall and winter shouldn’t stop any grower or gardener, and the off season greenhouse is one way to achieve year-round results. Supercharging our off season garden under a LightRail light mover is one of the secrets to making it possible. Garden & Greenhouse (Oct 2014), The Off Season Greenhouse; condensed.